Opening the building and its collections was the driving force behind a year's worth of renovations to the John Hay Library. PROVIDENCE, R.I. [Brown University] — After more than a year of extensive renovations, the John Hay Library reopened its doors this week to reveal a first-floor layout that has undergone many changes since the library closed its doors last summer. With a $15-million renovation led by New York-based architectural firm Selldorf Architects, the library’s main floor has been reconfigured to provide expanded, dedicated study and research spaces — including a renovation of the main reading room to return it to its original design — a separate special collections reading room, an enhanced exhibition gallery, a new consultation room, and a student lounge. A new, wheelchair-accessible entrance has been added on the northeast side of the building. Additional improvements have been made to other parts of the building, as well as enhancements to safety and infrastructure systems. Harriette Hemmasi, University librarian, said the renovation is a vision that has developed over time and was made possible through the support of donors, especially members of the Library Advisory Council. “Opening the building and the collections was the driving force behind this renovation, with the ultimate goal of making these treasures widely available to the Brown community,” Hemmasi said. “It has been a great pleasure to work on the renovation of the John Hay Library. It is such a beautiful building with wonderful proportions and historic details. We hope that the Brown community will find the newly restored reading room and other public spaces a welcoming and stimulating environment for study,” said Annabelle Selldorf, principal architect and founder of Selldorf Architects. Built with funding jointly provided by the University and Andrew Carnegie and dedicated in 1910, the John Hay is among a few Carnegie libraries still fully in use as an academic library open to the public. 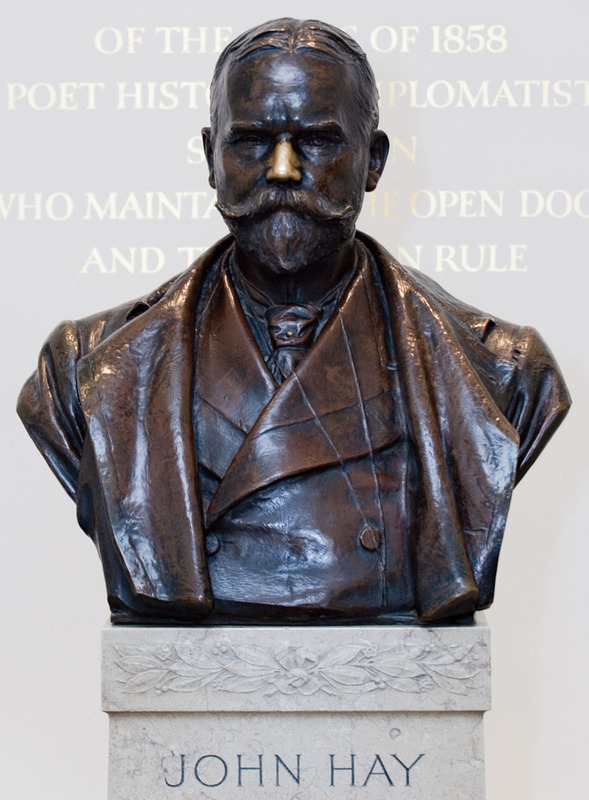 Carnegie helped fund more than 2,500 libraries across the United States, the United Kingdom, and other countries at the beginning of the 20th century. In the library’s previous iteration, staff work space on the first floor was mixed with study space in several areas and some of the rooms were cluttered with books and archival materials, Hemmasi said, resulting in unsatisfactory conditions for both library users and library staff. The John Hay is now more “user-centered” according to Hemmasi, with dedicated spaces where users can devote quiet time to study without interruption or receive individualized attention in a more functional environment when examining items from the special collections or University archives. The most dramatic alteration is the renovation of the main reading room, a 4,416-square-foot space with 16-foot-tall new windows along three of its walls. A previous renovation completed in 1939 had divided the room into three sections using bookcases, and it had remained in that formation for the past several decades. This most recent renovation has restored the space in the spirit of its original layout. The bookcases have been removed to open the main reading room to its original dimensions. Refurbished bookcases and new exhibit cases line the walls. Rows of large tables and smaller lounge areas now fill the massive floor plan. From the 25-foot coffered ceiling hang modernized renditions of the brass pendants that once lit the reading room. Table lamps provide illumination for reading. The space that once housed the University archives has been turned into the special collections reading room, a dedicated space where users can engage in research using items from the special collections. New windows and updated lighting also contribute to the room’s functionality. The Hay’s exhibition space has nearly doubled to a 757-square-foot gallery centrally located on the first floor. Display cases, picture boards and tack rails will be used to showcase more of the library’s special collections than previously possible. The Library will host two inaugural exhibitions that also opened on Sept. 2. “The Great War,” features a small selection of items from the Anne S.K. Brown Military Collection in the Hay lobby cases. “Elements of Tradition and Change: Brown University's First 250 Years,” will be located in the Hay Exhibition Hall. In addition to larger exhibitions, which will allow the campus and broader community to view and access more of the special collections and University archives, Hemmasi hopes that the renovation will enable the library to expand its programming. The main floor was not the only area of the John Hay to see changes. Sprinklers, a new security system and new HVAC controls were installed throughout the building, and repairs were made to the ventilation system and roof to prevent leaks. The large skylight in the Anne S.K. Brown Military Collection Room on the third floor was cleaned, patched and painted. Wall treatments were repaired in the Napoleon Room, and the Lownes Room was given carpeting and paint. The Bruhn Room received new windows, window shades, and a fresh coat of paint. The renovation to the John Hay Library is one of several that the Brown libraries are undergoing this year. A renovation to the central reading room of the John D. Rockefeller Jr. Library is expected to be completed at the end of September. And this summer, ground was broken on a new addition to the Library Collections Annex. Located four miles from College Hill, the Annex, with this additional module, will double its shelving capacity to hold approximately 2.3 million items.